The latest in high performance and high efficiency LED light sources with "chip-on-board" (COB), where multiple LED emitters are built into the one module. These high quality GU10 low-voltage LED downlight globes feature a Shineon 6W COB LED module that produces over 500 lumens of brilliant light. 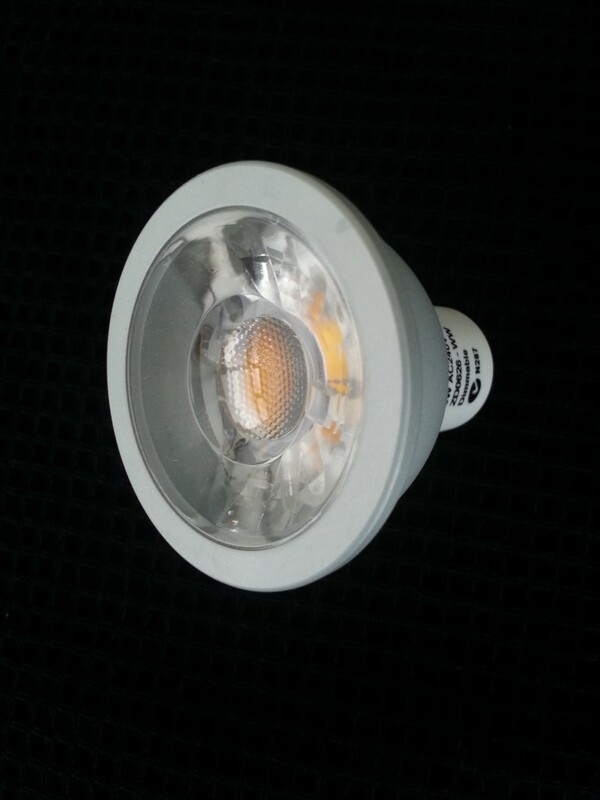 With such a bright output, these globes are a TRUE halogen replacement, providing equivalent or better light output! Built in a cold forged aluminium housing, heat dissipation is far superior to most LED downlight globes; ensuring you get the full 30,000+ hour life expectancy. If saving power and lasting a lifetime weren't enough, they are also dimmable!